Yep, that’s right. Mercedes-AMG chose the ’53’ name to designate its hybrid models. For months, Mercedes and its German competitors were acting like Justin Bieber wannabes, spitting on loyal fans as they crowded close by chanting their love for the companies by sopping up every AMG and M model that came out as if they were dry cracked sponges. The spit came in the form of announcements by prominent executives promising hybrid performance models before too long. These were vague threats, but now there’s some concrete behind them thanks to what a source at Mercedes has revealed to Australia’s Wheels. The message confirms that the first hybrid model to be pushed through the AMG factory doors will be a third generation CLS. It will introduce both Mercedes’ performance hybrid drivetrain as well as AMG’s hybrid nomenclature, the letters ’53.' The Mercedes-AMG CLS53 will come in the third quarter of 2018 fitted with a turbocharged M265 engine, which is a 3.0-liter inline-six Mercedes power plant making 429 horsepower on its own merit, along with an electric motor that will add 67 horsepower to the mix when it’s needed. If math isn't your forte, let it be known that the grand total will be 496 horsepower, usable for anything from quarter mile launches to full-throttle apex emergences. Not too shabby for Prius technology, eh? Comparing that to the E-Class (given that the CLS shares quite a bit of technology with the midrange Merc) and it’s plain to see that the Silver Star is not mucking about when it comes to its hybrids. The AMG CLS53 makes a full 100 horsepower more than the AMG E43, and the situation will remain the same when the 53 badge and associated drivetrain makes it to the E-Class. Coupe and cabriolet versions of the AMG E53 will follow, and soon after, the technology will migrate over to the S-Class. Though nothing is in the books publicly, it’s fair to expect an AMG C53 to follow that, although Mercedes will have to detune the hardware given that the AMG CLS53 only makes 13 horsepower less than the range-topping AMG C63 S.
Once that takeover happens, hybrid drivetrains will have free range on the rest of the AMG family. 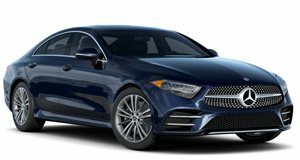 Expect an outbreak of 53 badges across most of the Tri-Star lineup, with the only models saved being the 43-badged AMGs featuring transversally-mounted engines like the CLA, GLA, and upcoming A-Class, left untouched to keep costs down. Mercedes has has to figure out how big a role the small electric motors will play in propelling each AMG. Wheels understands that the automaker will avoid making 53 models plug-in hybrids due to packaging difficulties, which makes it fair to expect that 53 models won’t have electric only modes. One prediction we think wouldn't be too far-fetched to see is be a direct AMG-approved answer to the outrageous 680 horsepower Porsche Panamera Turbo S E-Hybrid. Mercedes has already announced plans to split the CLA line in half. The CLA side will remain inside of the niche its predecessor created while the four-door AMG GT will take the fight to the Panamera. With Porsche having upped the ante so drastically with its V8 and electricity-powered Panamera, we think Mercedes will follow in its footsteps. So there you have it. Brace yourselves because the electric invasion is off to a gradual start, but a start nonetheless.